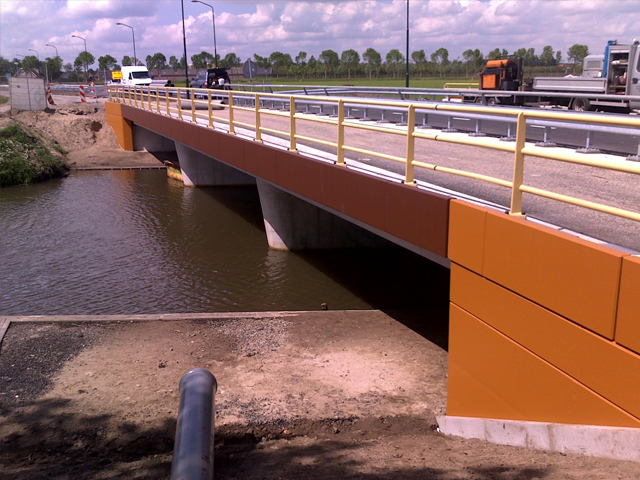 CAS Nederland provides protection of concrete. Preservation can prevent damage to concrete due to cracking, erosion and leakage. Physical drying system: with this method, the drying occurs by evaporation of the solvent or by a dispersion through the evaporation of the water. These are usually one-component systems. Chemical drying systems; this is effected by a chemical reaction between the binding agent and a hardener polymerisation (hardening). These are usually two-component systems. Two-component systems have been developed for the protection of concrete of, generally, horizontal concrete surfaces, such as bridge decks, floors in car parks, arcades and balconies. A binding agent is applied, usually of epoxy, polyurethane or acrylates, each with specific properties. The layer thickness is generally from 200 mu to a few millimetres, depending on the expected load. Epoxy is a thermosetting plastic material which is applied in liquid form. By polymerisation of the resin and the hardener component, a thin but very strong and wear-resistant layer is formed. Epoxy has a compressive and tensile strength that is two times greater than concrete. Polyurethanes (PU) are, in general, also two-component products. Polyurethanes can be slightly flexible after polymerisation and consequently bridge cracks in concrete. The high compressive and tensile strength and liquid density are attractive properties for use as wear-resistant and sealing layers. For the finishing of untreated or previously treated concrete. It can also be applied on masonry, autoclaved aerated concrete, external plasters and cement-bonded panels.